Sherry has owned and operated Sherry Templin Training Stable for the past 30 years. She has countless numbers of horses and riders qualified for state, zone, and national championships. 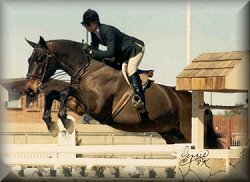 Sherry has had a long list of championships herself in the show ring as well as training numerous horses and riders to many championships of their own on a state and national level.